✔ One-sided LED indicator keep it easy to find at night and freely turn to “NON DISTURBING” mode once you need absolute darkness. 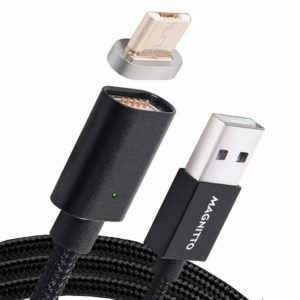 Fast Charge and Data Transfer: High-quality copper wire maximizes signal quality and increases durability. 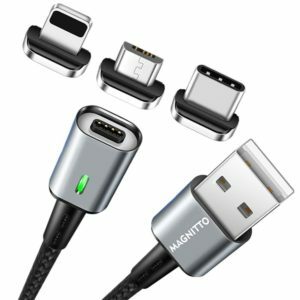 Sync and Charge at fast speeds on your android or apple devices with any type of charging data port. 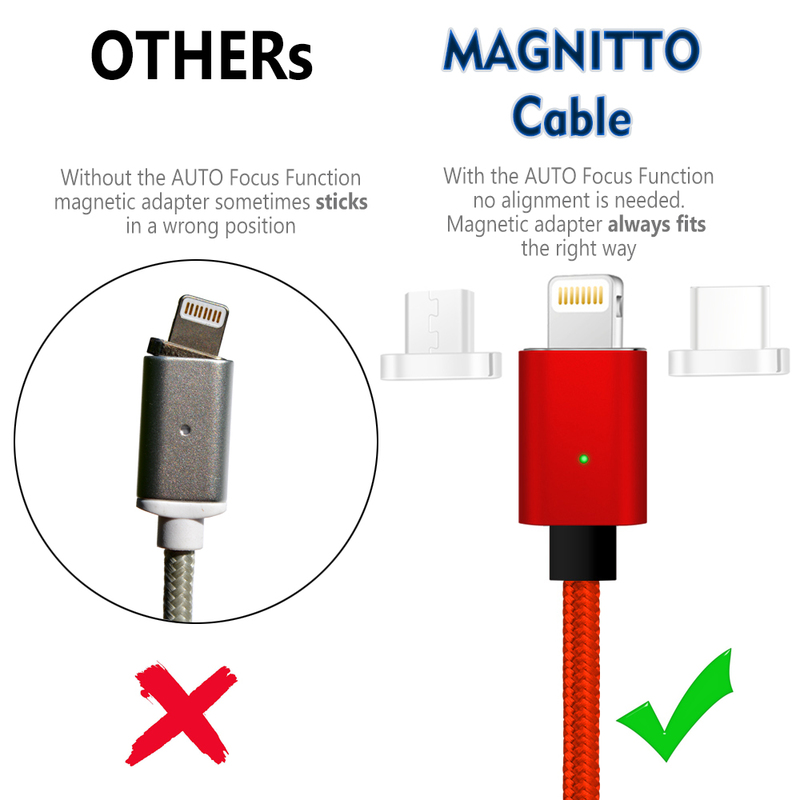 ⚠ Is not interchangeable with GEN 1 cable. 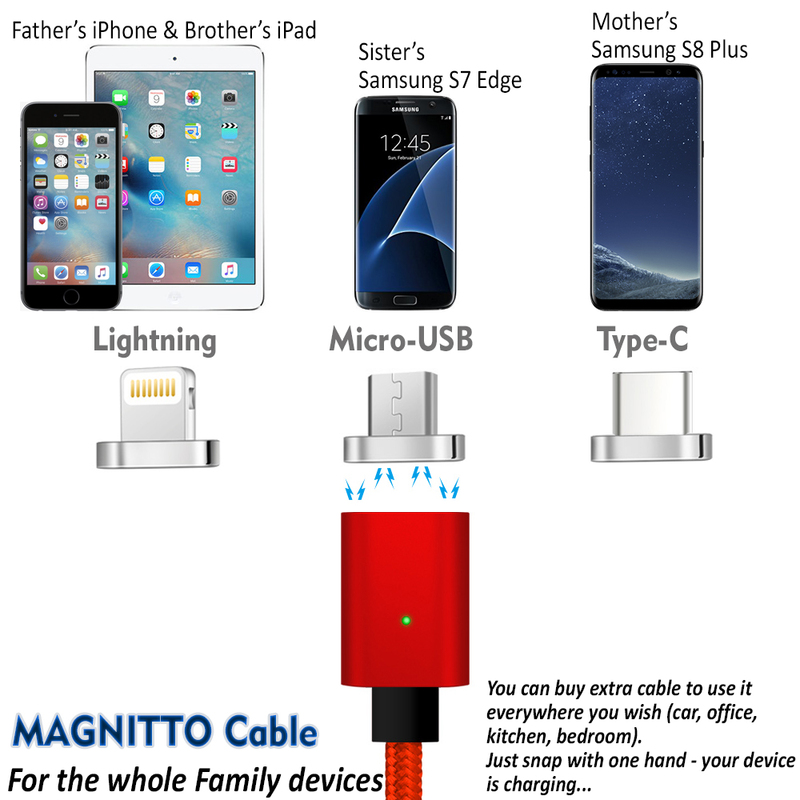 MAGNITTO upgraded magnetic cable, the best magnetic charger in the market, super strong magnetic, usb2.0 fast charging & sync for android Phone. 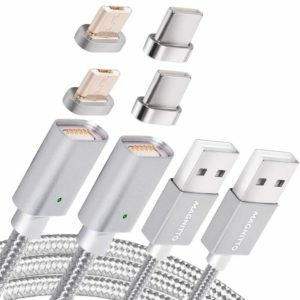 Both sides support charging, only one side for sync, led light will turn on when power on. 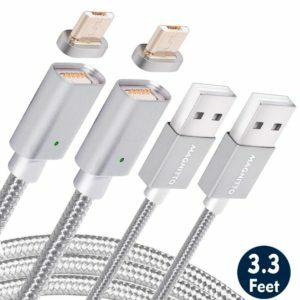 It is a simple yet perfect solution to prevent frayed charging cables, tripping over cable resulting in smashed phones, pointless fiddling to plug in cable in the dark, and more. 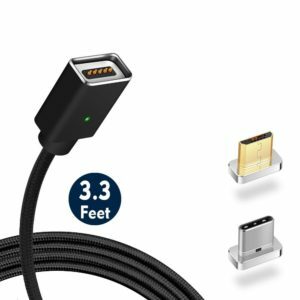 It solves cellphone’s problem of dust adhesion at the charging port accumulated over a long period so as to prolong the life of cellphones. 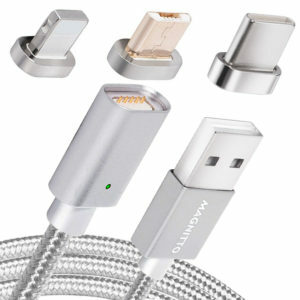 Supports USB 2.0 transmission, extreme charging speed, saving time and energy. 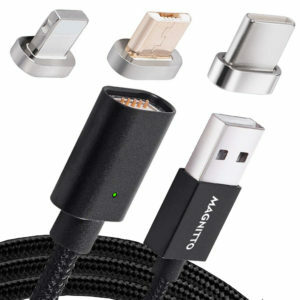 Perfectly compatible with most of Android systems with micro USB port. 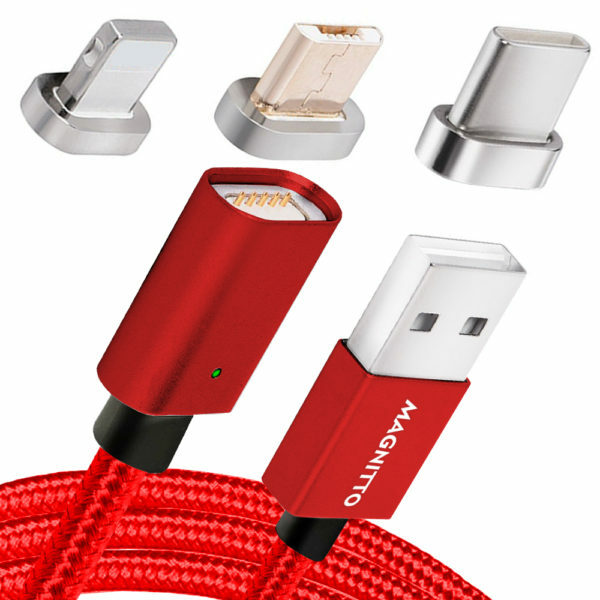 Tough nylon braiding means that not only is durability higher but tendency to tangle is also massively reduced. 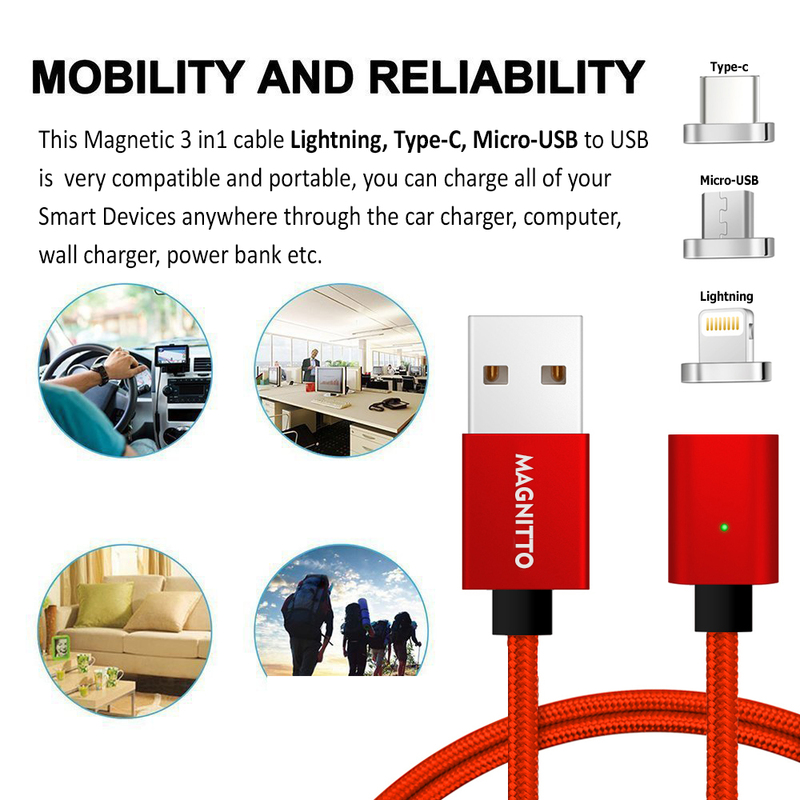 Transporting and charging has never been simpler. 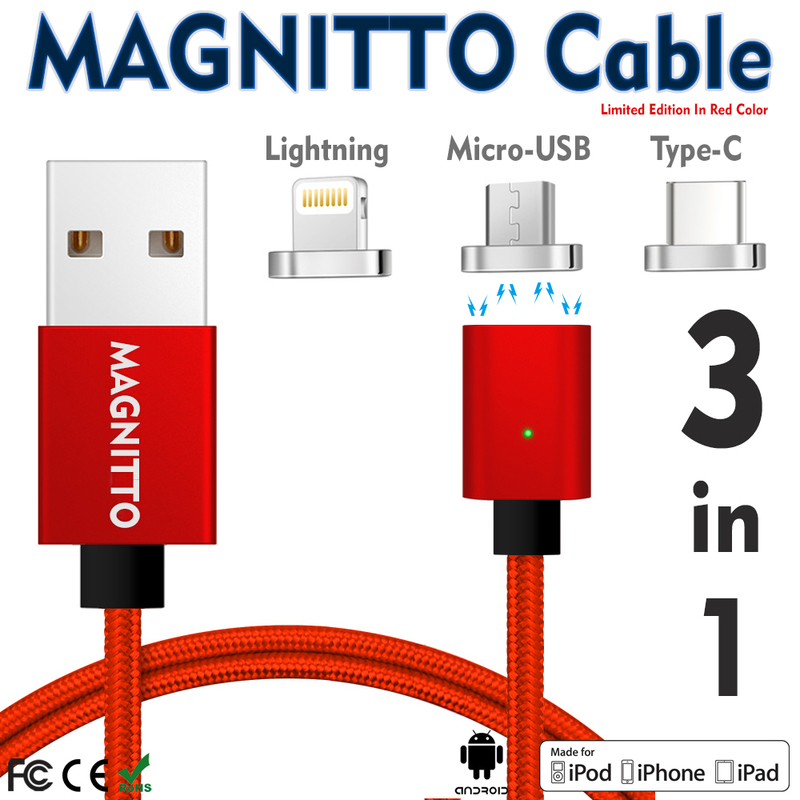 Using High-Quality nylon braided jacket and Core Material, Precise interface design. 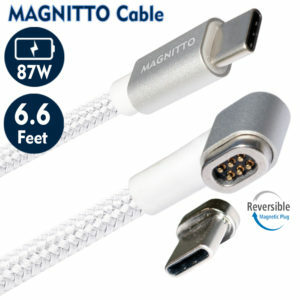 The unique design of high voltage can keep good signal and high-speed stability. 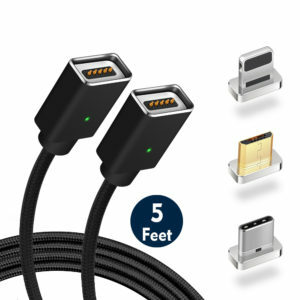 Up to 5X stronger than conventional cables. 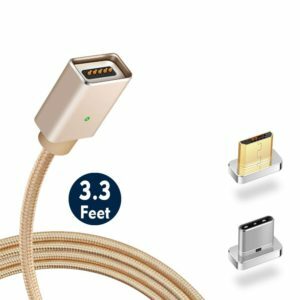 High-quality copper wire maximizes signal quality and increases durability. 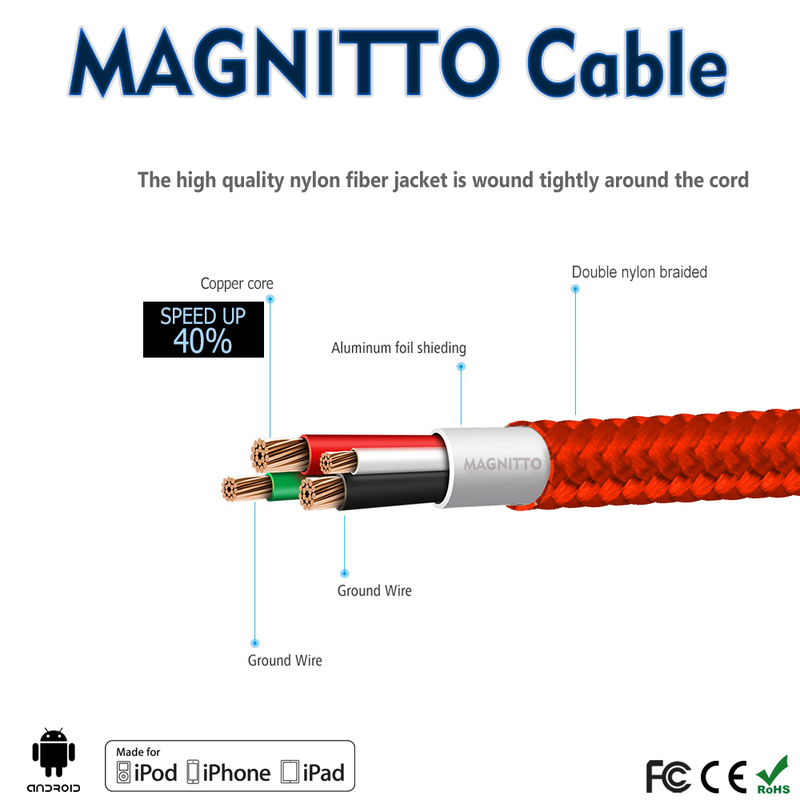 High-resistance insulation protects each set of wires. 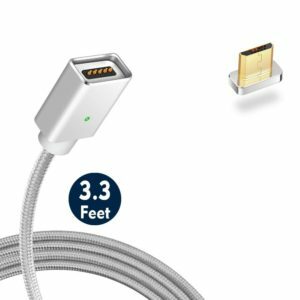 Wire, aluminum foil, and mylar shielding reduces interference and provides additional layers of protection to prevent wear.